Need athletic shoes that protect you at work and also look good at the same time? Then look no further than the Reebok Alloy Toe RB046 Sublite Women's EH Athletic Oxfords. These sleek Reebok Sublite shoes not only guard your feet from workplace hazards, but they al ... (see full details) (see specifications) #RB046. Need athletic shoes that protect you at work and also look good at the same time? Then look no further than the Reebok Alloy Toe RB046 Sublite Women's EH Athletic Oxfords. These sleek Reebok Sublite shoes not only guard your feet from workplace hazards, but they also just might make you the coolest worker in the office. Made with durable mesh uppers, these women’s work oxfords give you breathability and allow your feet to flex within the interior of the design, making them fit better than rigid work boots. This mesh also cools your feet off by wicking moisture and heat away from your feet, not trapping them inside. Also included in these alloy safety toe shoes is a moisture-wicking liner that helps to give the uppers support and lend your feet the comfort that you require. The nylon mesh liner helps keep your feet dry and cool by wicking water away from your skin and replacing it with air from outside the women's athletic EH shoes. This keeps your feet dry and also cools them off in even the hottest of weather. These tough Reebok work shoes also come equipped with MemoryTech massage removable footbeds. These comfortable footbeds give you and your feet maximum comfort while giving them an incredible amount of support at the same time. This Memory Tech footbed is specially designed to mold to the shape of your foot, giving you the comfort you need to tackle even the largest projects. And, should your shoes outlast the footbed, you can always swap in another footbed because this design is removable, giving you comfort even after you take it out of the women's footwear. Also included in these athletic Sublite blue shoes are EVA cushion midsoles with rubber heels and forefoot pads. The midsoles provide your feet with even more comfort than just the footbeds. This EVA midsole style is made from ethylene vinyl acetate, also known as “foam rubber,” which helps to give your feet cushion and comfort while at the same time acting like traditional rubber outsoles by offering your feet protection and stability as well as the toughness that's associated with rubber outsoles. What good is work footwear if it doesn't keep you safe? These Reebok work shoes are not only designed to be slip-resistant, they also meet regulatory guidelines regarding electrical hazard protection, too. And to top it off, alloy safety toe caps are included, giving you protection from impact in accordance with ASTM F2413. This means that you can rest easy, knowing that your work shoes are ready for nearly anything that might come your way. So if you need women's footwear that's safe but also flexible and comfortable, choose these Reebok Alloy Toe RB046 Sublite Women's EH Athletic Oxfords from Working Person's Store. They’ll keep you stylish, comfortable, and safe all at the same time. 0 out of 1 people found this product review helpful. I have talked to 3 workers who wear these boots. Including me, all of us dissatisfy totally. We like the lighted weight but terribly painful for long standing job. I write this review for improvement purpose. 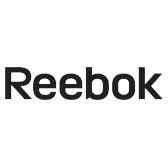 Reebok brand has been my favorite one. I recently made a purchase using your 800 number. The service representative was very courteous, helpful, and efficient. I appreciate this and would like to acknowledge a job well done. It is nice to talk to an actual person when needed. Reebok Shoes: Alloy Toe RB046 Sublite Women's Blue EH Athletic Oxfords is being added to your cart.